Megan Wallace had a lengthy and tumultuous pitching career. She began at the age of 7 and now holds the current school record for season and career wins. 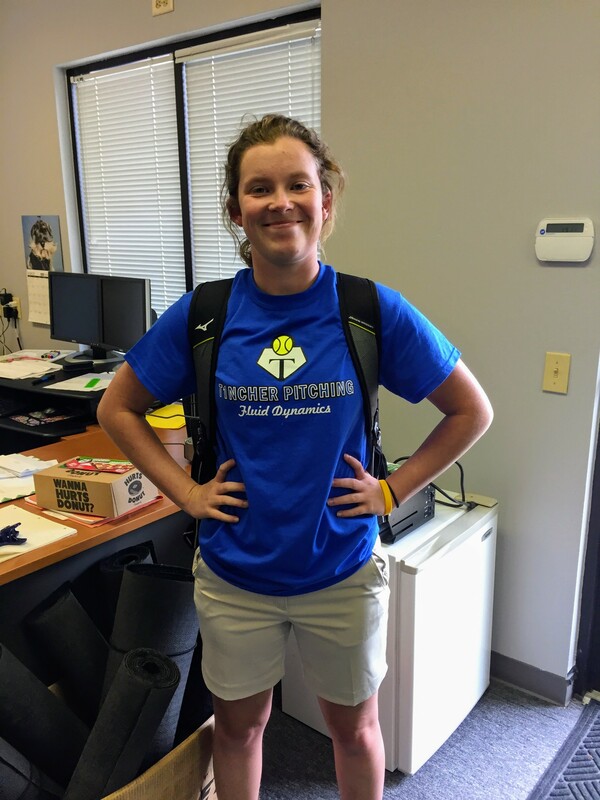 As a junior she began working with Tincher Pitching affiliate, Inner Power Pitch, due to severe pain while pitching. Previous to that, Megan rarely made it through an entire game due to pain. Her first homework: stop pitching. She had to let her body heal and years of pitching badly had her torn up in all sorts of places. After a few short lessons with Inner Power Pitch, Megan pitched 198 innings as a senior completely pain free! After finishing out her senior year the college that she originally committed at decided to cut the program in the middle of the summer. That is when Megan found a home at North Iowa Area Community College (NIACC). After working with Inner Power Pitch and benefitting beyond her wildest dreams, Megan knew she had to continue the teaching to help other young women pitch pain free. She ended up playing at North Iowa Area Community College on the softball team and finished her school at Iowa State University studying in communications. Megan knows what it means to struggle to get through a game and the pain a young pitcher can endure when coach improperly. Her goal is to work with as many young women as possible and ensure they don’t have to endure the pain she went through. You can find Megan in a number of places, like Cadott, Wisconsin…Eau Claire, Wisconsin….Carroll, Iowa….and Ames, Iowa.